The Bellicon Rebounder Review: Is It The Best Ever? Top 6 Most Expensive Trampolines Ever: Are They Worth It? Vuly Trampoline Review: Are They Worth the Money? 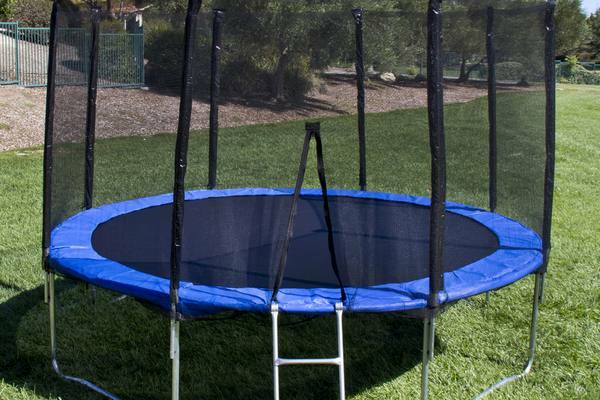 JumpKing Trampoline Reviews: How Good Are They? Crosslinks is a world leader when it comes to trampolines especially when it comes to safety considerations. My Clevr trampoline review presents 3 of their latest trampolines in accordance to their size: Clevr 15' trampoline, Clevr 12' trampoline and Clevr 7' trampoline respectively. You'll get to know all that you need to know about them with a special focus on how to assemble as it is an area that you are likely to experience some challenges. Crosslinks Clevr 15ft trampoline is the largest of the three made of heavy-duty galvanized steel frame which also makes it ideal for commercial purposes. It is the safest as well as sturdiest trampolines, however, assembling will give you easier time if you have an extra hand and you will not requires extra tools. Everything about it from design to features showcases the quality and safety. Its heavy-duty galvanized steel frame as well as base for high stability hence preventing it from tipping over. ​Has safety net with padded poles and High-quality PE net increasing safety. Mat-frame attachment is by 96 springs 96 Heavy-duty galvanized springs. Buying this Clevr 12 ft trampoline will give you the confidence that kids will be having fun exercise on one of the safest as well as sturdiest trampolines. Apart from helping with the establishment of balance and coordination it is fun for your whole family. Its ease of assembly and no requirement for extra tools will set your mind at ease. Is built with safety as the highest priority. Its heavy-duty galvanized steel frame as well as base helps in ensuring that it does not tipping over. 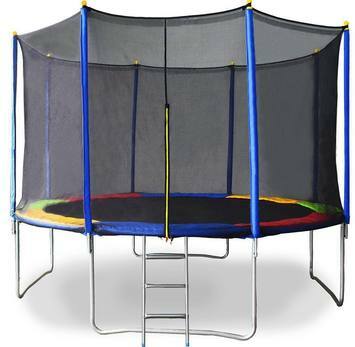 ​It comes with a safety net that has padded poles that helps in the delivery of the highest degree of safety for both big and small jumpers; the whole jumping area is surrounded by high-quality PE net ensuring maximum safety. 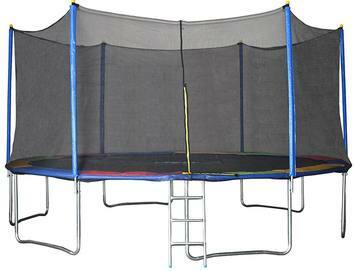 ​Its safety net comes with 8 padded poles ensuring maximum safety. Mat-frame attachment is by 72 springs. 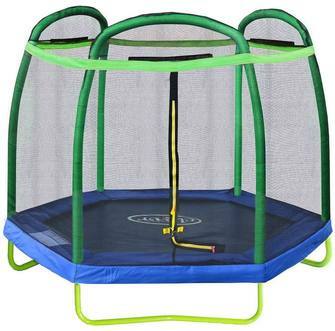 This 7ft WIDE trampoline uses Heavy-duty and quality material and has an improved packaging. Its heavy-duty steel frame as well as base helps in ensuring that it does not tipping over. ​The whole jumping area is surrounded by high-quality PE net ensuring maximum safety. ​Has a durable water-proof pad that has been filled with a thick foam reinforcing the protection of impact. Heavy-duty galvanized springs have been used to attach the mat to the frame. Lay the pieces in a circle to get the feel of its size. Ensure you have properly laid out the trampoline’s ring foundation. Start by first attaching individual parts of the ring prior to attaching it legs. Upon attaching the whole ring, assemble its legs then attach them to its ring. For the bigger trampolines ensure the squares are outside the ring and that the holes properly line up. Repeat until all legs have been attached to the ring. Take the included screws/bolts then bolt them to their places accordingly. Ensure each has been tightly locked in its place for safety. Now you will have completed the foundation signaling the beginning of the tricky part. Once you have completed the ring, you can proceed to unrolling the trampoline, laying it out on its ring. First take the springs and attach them to its designated hooks located on the jumping pad then proceed to attach it to the metallic ring. You will need to use a pulling device as well as a rubber mallet in order to have the springs properly installed on the metal. You will find that halfway through this, the trampoline will get tighter therefore you will be needed to apply more effort in pulling the spring then pound in its hook on the metallic ring using the rubber mallet. Repeat this process until you are done. For the spring protectors, all you need to do is find gaps on its section and lay it on the springs. These gaps are found on the bars of the metallic stand. Ensure that you have firmly tied the spring protector to prevent any form of injuries from them. For bigger trampolines (Clevr 12' and 15’) you will need additional installation because of the screen protector located on its sides. Ensure that you have properly installed the padding upon the bent metal. We were not able to confirm the warranty offered by Crosslinks. Springs are safely covered with cushioned liner. ​Clevr 7' trampoline one person can to put it together. ​15’ has good size hence can also be used for commercial purpose. 15’ is a bit hard to put together an extra hand is recommended. The ladder has uncomfortable feel on the feet. Warranty has not been indicated. Complete set of Crosslinks Clevr 15' trampoline, Clevr 12' trampoline and Clevr 7' trampoline can be bought at Amazon.com.